Many kids and even a lot of adults are fascinated by robots and the technology that drives them. For most it is just for entertainment purposes; however some people enjoy building robot kits and modifying them to perform various tasks around the home. Selecting the right robot kit can be a little tricky if you do not have any prior experience in building from a kit. It is very important to select a robot kit that matches the skill level of the person that will be building it. If you are selecting a robot kit for a young child, then a beginners kit will be challenging enough. There are many stores that sell robot kits, selecting the right one depends on how much of a challenge you are looking for. First it is important to find out how skilled you are at making things from kits. Building a robot can be very challenging and most kits are sold according to the builder’s skill level. Determine how skilled you are and the level of the challenge that you are looking for when selecting a robot kit to build. Decide if you want a robot kit that is pre-programmed or remote controlled. A pre-programmed robot kit does a few different functions which are literally already programmed in to the robot. A remote controlled robot can be manipulated with a simple controller or can sometimes even be programmed by you to perform a particular task. Robot kits can be expensive that is why it is imperative that you know the budget you are working with. The more expensive the robot kit, the more features it will have. Do your research online looking at different robot kit stores and suppliers. Look at the customer ratings and skill levels required for various robot kits. Also, there are many forums that you can access and ask questions to other builders of different robot kits. Look for a seller online as the internet is a great resource for finding robot kits. 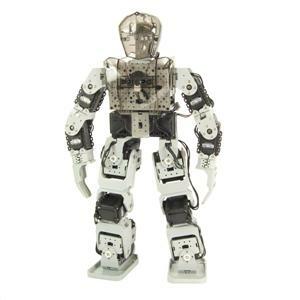 There are major suppliers and also many individuals that sell robot kits for all ages. Select the appropriate seller and make sure there is a guarantee against anything being broken before making the kit. Building a robot from a kit can be technical. Always carefully read the instructions to help you build your robot kit. Make sure that you have all of the right tools for the job. Some robot kits require unusual or special types of tools that may require you to buy them from other sources. Having the right tools can ensure that your robot kit is built as per specifications. Should I Go to My High School Reunion? Yes! Start an Online or Correspondence Course Today!